Not everyone is willing to settle. Individual tastes are changing and evolving, and some consumers prefer to go without than to purchase something other than whatever it is they really want. By expanding your beverage options and offerings, you’re laying the groundwork to increasing convenience store sales. Although it’s not possible to please everyone, there are some steps you can take in order to provide more consumers with the specific beverage items that they are seeking. By providing more options, you ensure more people are leaving your convenience store happier and more willing to return. Expanding product offerings can lead to increased purchases due to a variety of reasons. These reasons include: curiosity, preference, impulse, and convenience. For instance, shoppers are often interested and intrigued by new products. Those with curious and adventurous sides oftentimes try products just because they haven’t seen them before – they’re also more likely to share stories of their new experiences with those in their network. Health consciousness is a trend that doesn’t seem to be going anywhere. Many beverages, including tea, coffee, and juice, provide beneficial nutrients. It’s also common for a beverage to replace a meal or sustain someone until they have ample time to eat. People are drinking more varieties than the average soda fountain provides. The growing popularity of juices, teas, and added flavors makes expanding fountain options a pretty smart option. After all, if they’re not available at your store, that means they’re getting them elsewhere. 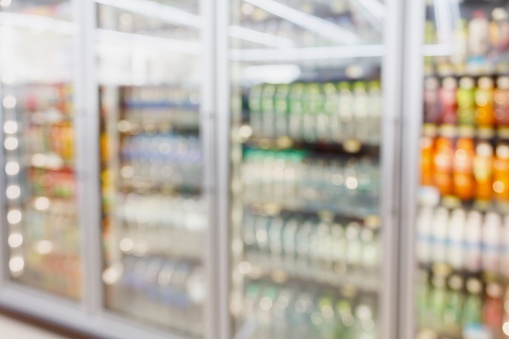 Make sure your store is the one supplying the beverage options consumers want. Introducing new beverage options is a fantastic opportunity for gathering data on your consumers’ preferences. Even if a new addition happens to fail, it can act as a learning experience to make more informed decisions in the future. A common concern among convenience store owners is that by adding new varieties, it means taking away others – and at the risk of upsetting regular shoppers. Fortunately, this doesn’t need to be the case. You can add additional fountain machines or upgrade to a larger fountain machine capable of holding more total flavors. If you’re experiencing plenty of perusing with minimal purchases, it might mean your consumers are looking for something that isn’t offered. Not every consumer is comfortable voicing their preferences or making requests. Think of providing more options to your consumers like casting a wider net. It requires a little extra upfront effort, but the potential rewards just might be worth it. If you’re looking for potential ways to increase your c-store sales, try expanding product offerings.